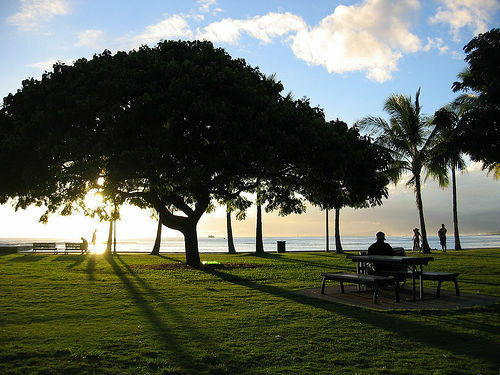 Near Queen's Beach in Waikiki. As little as five minutes of "green" exercise -- activity in the presence of nature -- benefited all types of people, according to the researchers, who analyzed data on 1,252 people from 10 prior British studies. The benefits? Improved self esteem and mood. Read the story here. I am so fortunate to live in Hawaii, where I can train outside nearly all year long. Makes the high cost of living here worth it.